It may be a tad early, but wondering if anyone has any insight on the April 2016 Service Changes - if any. Not sure yet, but we are expecting very much. But, I can redirect you here for further information, if any. C94 route needs to see service improvements with service added on Sundays and holidays. Also the schedule should return to every 30 minutes instead of every 35 minutes. Service on the route should be extended until 10PM 7 days a week. C96 needs to see the return of all day service instead of just peak hour service as well as the return of Saturday and Sunday service. Route 480 should end back at Brighouse station rather than Bridgeport station, removing the interlining of the route with the 403. Route 404 needs to end back at Ladner exchange. Too many buses are ending at Riverport. Yes, I agree. The c94 either needs to be extended to the outlet or make the service 7 days a week by entering mall areas as well. The c96 needs weekend service since it can help the 410 load during the morning rush for brunch. The 480 needs to run 7 days a week since the #10 service is also reduced in weekend service. 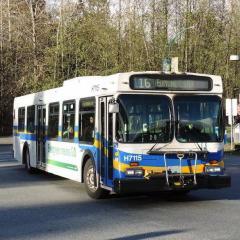 The 404 route needs to go back to ladner or discontinued since too many buses at riverport. I agree that Community Shuttle need to be operations seven days all day. I think 480 should just be ended even during the weekdays, the buses and hours should put on the 43 to make an all day route and get more service hours for weekend service on the route. I would agree, except that right now the #480 serves to divert commuters to UBC off the Canada Line, and getting rid of that relief would be a terrible idea. Then maybe we should try to increase train length, all parts of the Canada line, and increase frequency to Richmond Brighouse to help out with capacity issues and then get rid of the 480. The students and others would revolt as the 480 gets them direct to UBC and Vancouver from Richmond without the need for a further transfer AND for a ONE ZONE fare !! Canada line requires a two zone fare. That why I am saying get rid of it and the route if it was still two zones, in my opinion, makes no sense to have because 100 could always be extended to UBC during peak periods which that extension makes sense. There is a thread in this sub forum entitled "Translink Future - Dreams And Aspirations." This kind of post belongs in that thread. This thread was created for discussion about the April 2016 service change. Someone like me, wandering into the thread to find out about any minor service adjustments for April 2016 is now greeted with 8 or 9 posts of pure fantasy discussion about what Translink should do. Let me repeat - there is an entire thread dedicated to that kind of discussion. Why is it taking place here? Do you understand the distinction between what is going to happen (and individual opinions on that) and what you want to happen? You are posting what you want to happen. This thread was opened for comments about what is going to happen for the April 2016 service change. You are continually posting about what you want to happen. There is a 32-page thread on this subforum, entitled "Dreams and Aspirations" which is entirely made up of thoughts and responses to those thoughts by forum members about what individuals want to happen. Why do we have a divide between threads about what is actually happening, and what forum members want to happen? Because it makes it easier to separate fantasy from reality, and allow those who just dip into this section for the latest on what's happening in Vancouver, to focus on the actual. Your inability to differentiate between the two makes it extremely difficult for those of us (including myself) who cannot spend all day on cptdb, reading every thread, to actually focus in on what we are interested in. There is a space, for nearly every post, on every topic, related to Vancouver transit, in this sub forum. There is a space for your posts and about what you want to happen. It is not this thread. There should be, but isn't, a space for discussion on what is actually happening in the April 2016 service change. Why isn't there a space for that discussion? Because you have lead the thread through a series of posts that belong in "Dreams and Aspirations." Thank you very much for taking the time to explain this to him, I found I couldn't handle explaining this to him appropriately so I left it at nothing. I need to see actually proof from TransLink or UBC or city of Vancouver or city of Richmond that says 480 should be kept and extend to Bridgehouse? Because ridership does justify keeping the route with the 48 passenger on average trip during 2014 and those riders can take the 41, 43 or 49 which can be made more frequency by reallocating the 480 hours to those routes. 48 passenger on average trip ?!?!? I don't think so, unless UBC is on reading break or something !! I use the 480 quite often and have seen full loads with both artics and 40fts. Having the route go to Brighouse makes total sense as it use to do that and many of the people on the 480 actually get and the train at Bridgeport and continue their trip down to Brighouse. I'm sure those passengers would prefer the direct no transfer service from campus to Brighouse and Brighouse to Campus. It can also add service along City as the 405, 407, 430 and 301 which runs along Garden City have limited service. I need to see actually proof from TransLink or UBC or city of Vancouver or city of Richmond that says 480 shouldn't be kept and extend to Brighouse. 480 is much faster than 41, 43 or 49 and that's why many people are using it, not to mention 43 is only a peak hour route. If you do a survey on cancelling 480 in UBC now, I think students will still say no to that, at least I will. Also, I can't see 480 being cancelled before 258. 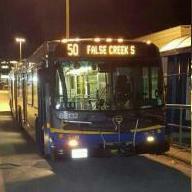 If TransLink throught the 480 needs to go Brighouse Stion. Then why did they elimate that part of the 480? Probably to get passengers to take the train. 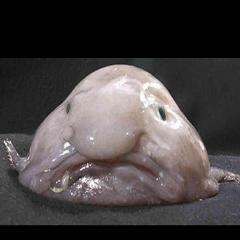 However, I know that many UBC students prefer the direct no transfer 1 bus trip from Brighouse to UBC. But then why do Burnaby residents and students need to transfer to get SFU or UBC? That part of the route was eliminated to reduce the number of busses needed on the route and also route duplication by other lines. This resulted in the freeing up of o small number of busses that could be used elsewhere in the system.